The Oregon Rail Heritage Center needs to raise up to $2 million to install something they've already got – a railroad turntable -- at its train center and museum near the Oregon Museum of Science and Industry, just north of the Ross Island Bridge. A turntable – or wheelhouse – is a large in-ground rotating device for turning locomotives and railcars around in one spot, so they can go back the way they came – or go onto sharply-adjoining rail lines. 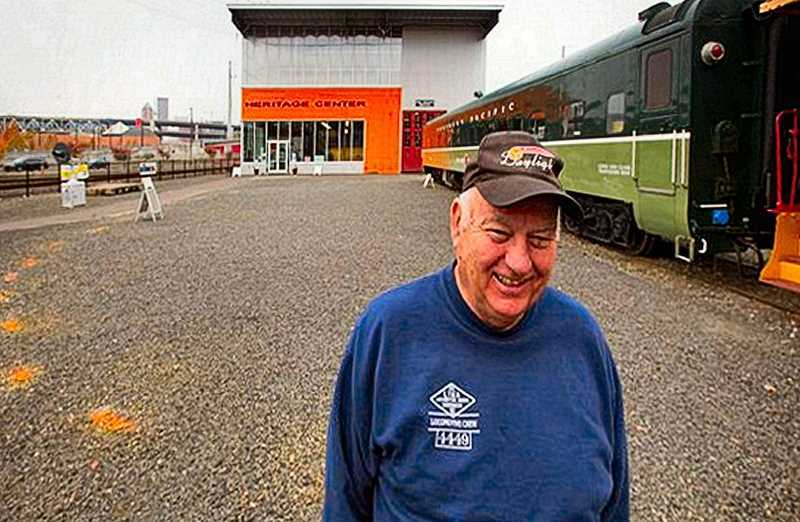 The volunteer-run center and museum currently houses three historic city-owned steam locomotives, three diesel-electric locomotives, and a variety of vintage railcars. 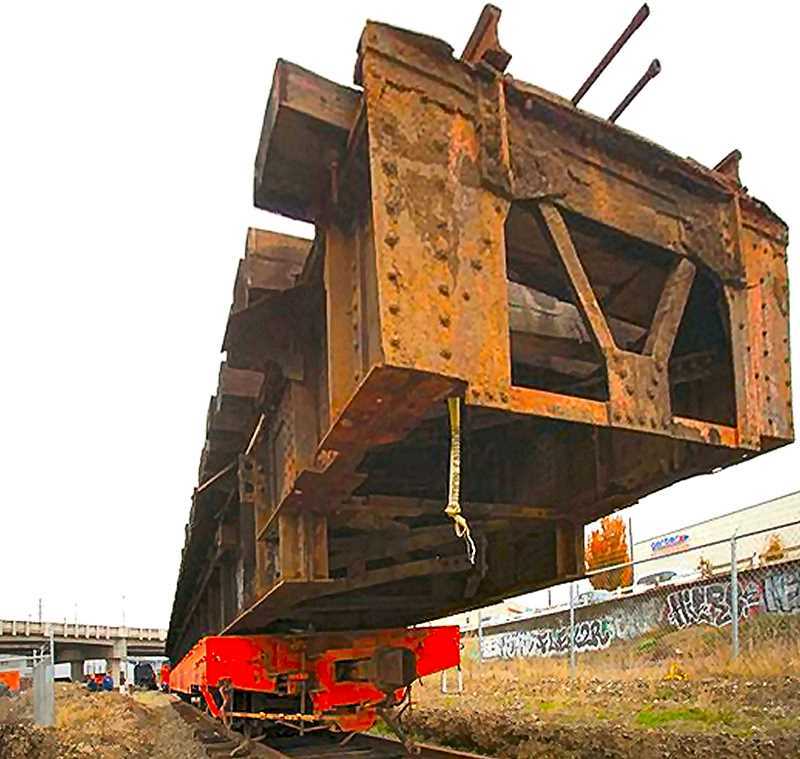 It already has the vintage turntable that it needs to better move them into, out of, and around the facility – it's a massive 102-foot diameter piece of machinery obtained from the Union Pacific Brooklyn Rail Yard in Southeast Portland. 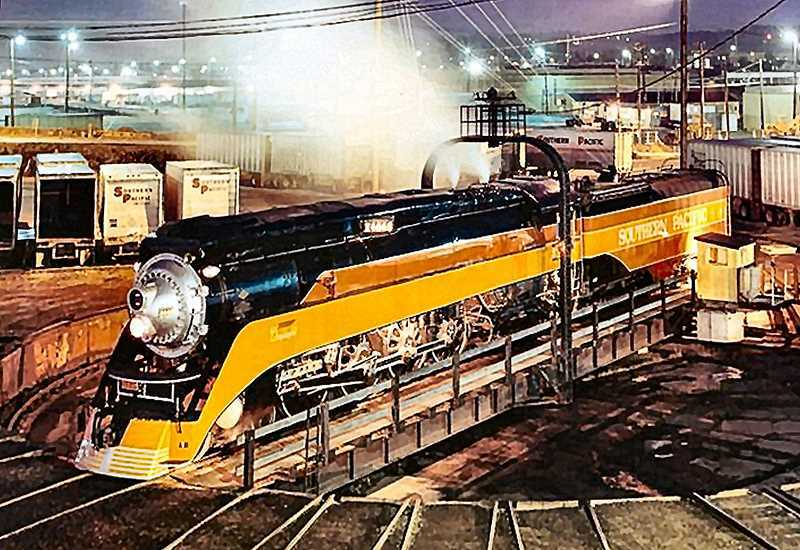 "It will be a part of history you won't be able to see hardly anywhere else," says Greg Fitzgerald, Executive Director of the nonprofit Oregon Rail Heritage Foundation (ORHF), which operates the center and museum. Turntables once were a common feature in all rail yards with maintenance facilities. They were needed because steam locomotives cannot back up efficiently, and they needed help getting pointed in the right direction after leaving the so-called roundhouses where repairs were made. Almost all of the turntables in the country were dug up and discarded when newer diesel electric locomotives came into use in the 1940s, replacing virtually all steam locomotives by the mid-1950s. When it is installed, the Heritage Center turntable will be one of the few working ones open to the public in the entire country. Built in 1924 by the American Bridge Co., probably in Astoria, the turntable was installed the following year and served the former Brooklyn Roundhouse when it was active. That was where the Heritage Center's locomotives were stored and maintained before the new facility opened just east of OMSI in 2012. The tracks are embedded in a foundation set in a large circular hole in the ground that pivots around a central post, driven by electric motors under each end. It replaced a smaller turntable that became obsolete as the size of steam locomotives increased in the early 20th century. "The railroad said we could have it, if we dug it up and hauled it away. Otherwise, they were going to scrap it when the roundhouse was torn down after we moved. So we took it all!" says Heritage Center President Doyle McCormack. The 94-year-old turntable was pulled out of the ground, disassembled, cleaned, and currently is sitting on a flat railcar and on the ground at the Center. Plans call for digging a new circular hole in the ground and reinstalling it – aligned with the main track through the Heritage Center Enginehouse, where the locomotives are on display and maintained. Additional radial tracks will be laid once construction is complete, to serve as spur lines for storing even more pieces of rail-related equipment at the Center. The original massive 50-horsepower motors will be upgraded with more energy-efficient 25-horsepower units. "We could never run the turntable at anything but the slowest speed; otherwise it was just too fast," McCormack says of the original motors, which could not be phased in like the new ones. Once installed, the turntable is expected to last at least another fifty years, with periodic maintenance. Like the locomotives and related equipment at the Center, the turntable will be maintained by volunteer mechanical crews. Needed parts will either be fabricated in the Center's machine shop, or purchased. In addition to installing the turntable and its supporting equipment, the project will require reconfiguring security fencing, relocating the center's main entrance gate and walkway, and new landscaping and hardscape. Although the project always had been planned, the timing is now right for it to move forward. The Heritage Center has paid off the $1 million debt it incurred during the move, two of the three steam locomotives are in regular service, and more and more people are visiting the unique and free Rail Museum. The charitable Murdock Foundation recently awarded the heritage center a $500,000 matching grant to support the project. The first $250,000 already has been received, and the remaining $250,000 will be awarded if the center can raise $500,000 from other sources to match it. The actual construction schedule has not yet been set. The organization has just begun applying to the city for the required permits, which may take some time to figure out, because it is such a unique project. The Center is situated at an ideal location to learn about rail history – adjacent to TriMet's OMSI/S.E. Water Avenue transit center, where MAX trains, Portland Streetcars, and buses converge at the east end of the Tilikum Crossing bridge. Heavy rail lines cross the area from north to south, including those connecting to the Center. According to the Pacific Railroad Preservation Association, the Oregon and California Railroad first established a presence in the Brooklyn neighborhood in the 1870s. Southern Pacific built a roundhouse with 12 stalls in 1912. An adjacent four-stall annex was built in 1948, and the original roundhouse was taken out of service in 1956 and demolished three years later. The annex, then known as the Brooklyn Roundhouse, then sited on the north side of Holgate Boulevard at the west end of the rail yard viaduct, eventually housed the city-owned locomotives until the Heritage Center was completed. To learn more and donate to the project, go to the Oregon Rail Heritage Foundation website – www.orhf.org – and click on the link that says, "Support the Installation of the Historic Brooklyn Turntable."